Spent an afternoon and evening at the abandoned TAFE. 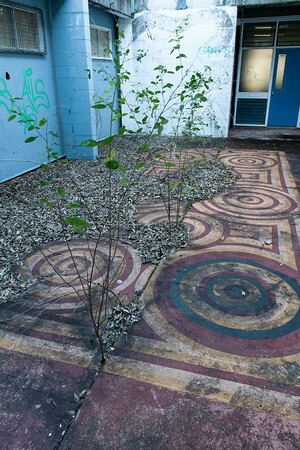 Started out in this courtyard, complete with basketball hoop and reasonably big trees growing through the cracks. The circles on the floor are probably the most exciting bits in this photo. The rest didn't really work out.